Musings 'n scribblings of a philanthrope .. : Tim Cook, good motives ? 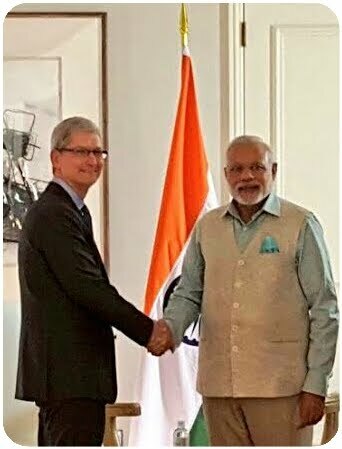 Why is Tim Cook in India now ? Apple's sales have slowed and gone down for the first time in about 35 years. There is no future for Apple in the western world. Tim Cook wants to take the people of China and India for a ride to boost his company's fortunes. Some of the unintelligent among us, especially the politicians, may fall for his game plan, but not the saner ones ! Tim Cook, we would have been open to you, had you come here during better times. Now we know your ulterior motives and can see through your game plan.